What makes the IEB different? The following brochures are designed to answer questions about the IEB and its assessments. 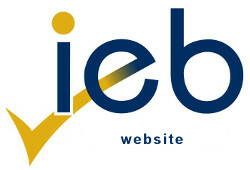 The IEB is the Independent Examinations Board. It is a Proudly South African organisation, with deep roots in the democratic history of our country. Its very existence grew out of a commitment to educational and democratic principles. What is the context in which the IEB works? The IEB works in an educational environment of extremes – state and independent schools; well-resourced and under-resourced schools; exceptional teaching that compares very well with the best in the world and classrooms in which, at best, teaching is synonymous with reading from a set of notes or a textbook, if a teacher is present at all; schools in which integrity and concern for a common good are overriding values and others where success is attained by fair means or foul, where values are secondary to one’s own individual needs and desires. Is the IEB's NSC internationally recognised? The IEB had its IEB NSC, and the Advanced Programmes in Mathematics and English, benchmarked by UK National Academic Recognition Information Centre (UK NARIC). IEB NSC is a Proudly South African qualification that is equivalent to the UK AS level. In addition its Advanced Programme Mathematics and Advanced Programme English are equivalent to the UK A levels. The IEB has also had past learners being accepted into the most elite universities in the world. The IEB NSC and our Advanced Programme subjects prepare learners for South Africa, and the world at large. What has happened to the Designated Subject List? The removal of the designated list of subjects (via a government gazette notice on 2 March 2018) has some major implications. A learner may now be admitted to degree studies, provided that the learner: •	passes ANY 4 subjects from the recognised 20-credit subject list at 50% or more. (The only NSC subject that does not have 20-credits is Life Orientation.) •	passes one official language at Home Language at 40% or more. •	passes 2 subjects at a minimum of 30%. •	meets the language requirement for entry to further study. One of the two official languages offered by the learner must be either English or Afrikaans. To meet the language criterion to qualify for entry to study at a tertiary institution, the learner must pass either English or Afrikaans at the First Additional level, i.e. at 30% or more. A learner who offers 2 official languages at Home Language, one of which is English or Afrikaans, and the other one of the other official languages, e.g. Zulu, and obtains between 30% and 39% in English or Afrikaans and passes the other language at 40% or more, qualifies for entry to further study at a tertiary institution. This policy is applicable to the current Grade 12 learners that will write the NSC during the October/November examination session and also impacts strongly on the subject choices of current Grade 9 learners who will enter the FET phase in 2019.